Home > News > EU – Brazil Cluster and Business Matchmaking Event |New collaboration opportunities between European and Brazilian organisations! The Event took place on November 29th in the scope of Pollutec and included more than 180 meetings conducted between European and Brazilian participants. 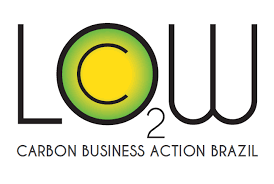 These meetings aimed at increasing the knowledge regarding the low carbon technologies market in Brazil and at establishing opportunities for collaboration in fields related to low carbon technologies. The European delegation included 18 European clusters and 7 SMEs from the following countries: Belgium, Denmark, France, Italy, Netherlands, Portugal, Romania, Spain and United Kingdom. On the other hand, the Brazilian delegation was formed by 35 participants, including clusters and business associations, companies, research centres and technology parks, as well as representatives from the public administration. The Event, organised by the European Cluster Collaboration Platform (ECCP) and the Low Carbon Business Action in Brazil (LCBA), included a seminar in the morning aimed at presenting to the participants different relevant initiatives to foster collaboration between Europe and Brazil businesses and other organisations. The seminar closed with elevator pitches from each participant before the prearranged matchmaking meetings. The afternoon was devoted to the matchmaking session, only focused on meetings between European and Brazilian organisations. More than 180 meetings were conducted allowing the exchange of knowledge and experiences, as well as the sharing of project ideas and cooperation opportunities. Participants also had the opportunity to participate in the Green Days (the official B2B activity of Pollutec) on November 30th; thus, expanding the potential opportunities for collaboration with other European organisations. The Event was organised in the scope of Pollutec, the largest international exhibition of environmental equipment, technologies and services. The 2016 edition was mainly focused on sustainable city, sustainable and future industry, aquatic environments and coastline, hospital and sustainable development, and agriculture.